Hope all is going well, I love this look so much. Even though it is dull in color, there is something about a same color outfit that I just love! Really you could recreate this look in any color and it would be FABULOUSSSS, plus these heels are super cute and I love any high heel with straps because I feel like they help support my foot and I am not dying by the end of the day LOL So I have started using this teeth whitening kit that is regularly $299 but if you use code JENESSA you can get 90% off wait whattt??? 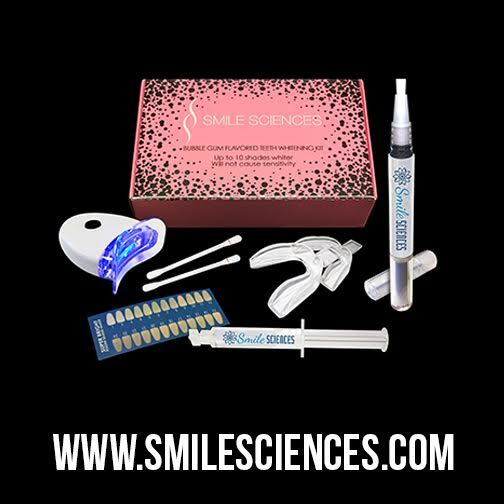 yeah you heard me 90% off you can get this whole whitening kit for $29 just visit www.smilesciences.com and enter code JENESSA. Enjoy! LOVE YOU ALL! I love this outfit very much, you do look great! I like the top and the shoes very much, and the ankle chain is so cool! Hope you have a great weekend! THank you Denise! Glad you liked all the details… I am SO into details too! Have a great day! Such a simple outfit, but it packs a punch! I love those heels. They’re so cute! Gray on gray! Love it! This outfit is just right up my alley. I love all shades of grey! I think it can be so simple yet stylish at the same time. You said the necklace is a DIY…did you make it yourself? It looks pretty bomb! That all grey suits you so, so well and I love your hair! You just always get it right, don’t you? Haha you are too cute, thanks for the lovely compliments seriously made my day, thanks boo! You pull this look off so well! Love all the details like the necklace and anklets! Super cute heels, they look very comfortable. I’m loving this all grey look on you, especially those skinny jeans. Great look! For sure boo 90% off!!! what a steal!!! Thanks for stopping by hon! LOVES! This all grey look is stunning! I love the contrast of the gold necklace! love the grey-on-grey! the skinny jeans are so cute! this color really suits you! Wow, Gray isn’t my favorite color but it’s fit you so good ! RIGHT !?! me too! Thanks for stopping by love! Haha~How interesting it is!Your grey shirt,grey skinnies,grey heels match each other so well. Oh j’adore! Your look fabulous with grey shades, really. In my opinion I would add silver jewelry to the look cause the cool, the cool colors mixing thing in the colling factor (coll vs warm) oh good weird. But you look lovely from head to heel, but I think the grey of your shirt fits you the best. OH thanks babe, always love reading your comments. Thanks for stopping by xxo! Oh my you are too sweet!!! Thanks girl, have a great day! loves! I looove grey… this post is great!! Your heels are super cute, too!! Beautiful as always!!! Oh so casual chic right here! LOVE!! Gorgeous looks! You look stunning in grey! Thank you Tatiana, so sweet! I love this grey look ❤ you look amazing! Monochromatic looks are so chic! The heels are fab! You look great in the grey skinnies! And I love the grey on grey! They are my fav and super comfy!!!! I love a good jean that stretches but still holds their shape! Yes, bring on the grey on grey! You look amazing! If I wear a same colour outfit it is all black. I do like the grey tones your wearing! I need to go have a look for a grey skinny jeans! Grey is not a color for the summer, at least this is how I think. But it looks good on you. I love grey!! for any season! Thanks hon, you are so sweet! These jewels are my fav, I think I wear them every day LOL Thanks for stopping by! LOVES!! Love this grey look! so cute! This is such a cute look I just love the all grey vibe! You look amazing, as usual! I’m obsessed with the grey on grey look! So simple but really makes a statement!